It has been way to long since I have updated everyone on our amazing little Jacob and for that I sincerely apologize. Jacob has been doing incredibly well! The best part of our surprise adventure in Philadelphia was that we got a CPAP for Jacob to wear overnight. We learned that his breathing was very poor while he slept and this machine improves it significantly. However, he doesn’t exactly love it. We are looking forward to a sleep study next week that will allow for fitting for a better, more comfortable mask. Yahoo! 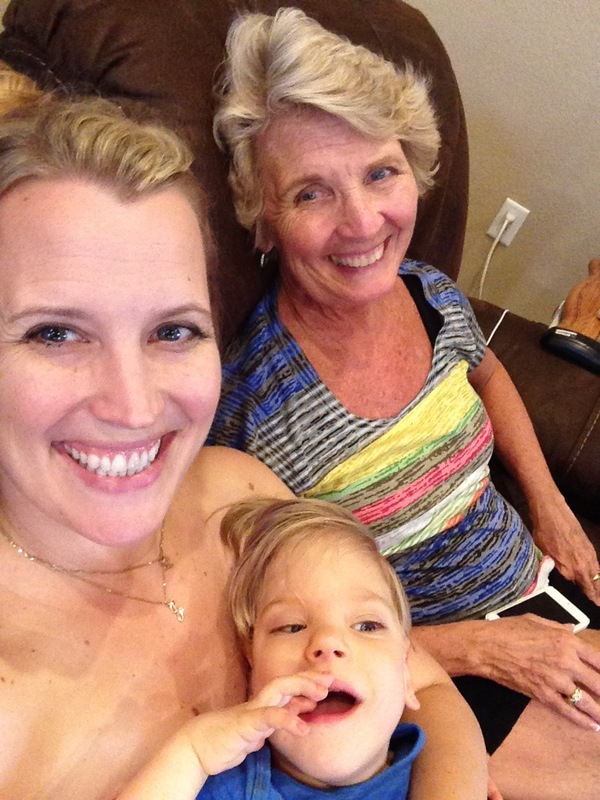 Enjoying the BEST Mother’s Day with my sweet boy and my mom!! Jacob’s crawling has also been improving! We learned very valuable tips from our friends at IAHP that we implemented immediately. Before we left, Jacob was struggling to crawl 2 feet down his inclined track within 2 minutes. Now he is successfully crawling 5 feet usually in less than one minute! Way to go buddy! Jacob is also really excelling on his glider. He is crawling up to 30 laps (720 feet) daily and the best part is that he LOVES it! We have also, just recently, invented a modified glider that provides him similar support but without the restriction of the track so he can crawl anywhere (on smooth floor) that he wants. So far he is doing GREAT on it! With Jacob’s improved breathing and sleeping has also come improved eating! Jacob gained back the weight he lost from being sick and then some! Our little guy is just amazing and fills us with such joy! 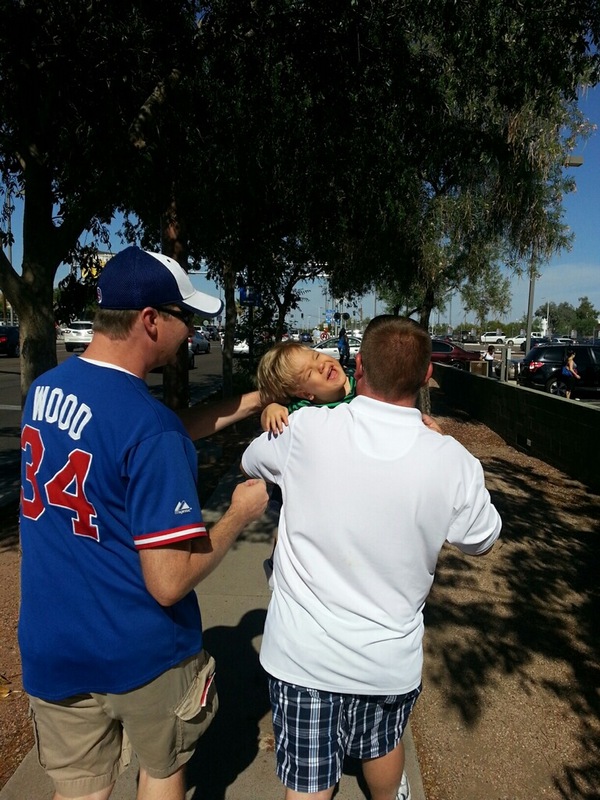 In other news, Jacob recently attended his first Professional Baseball game! 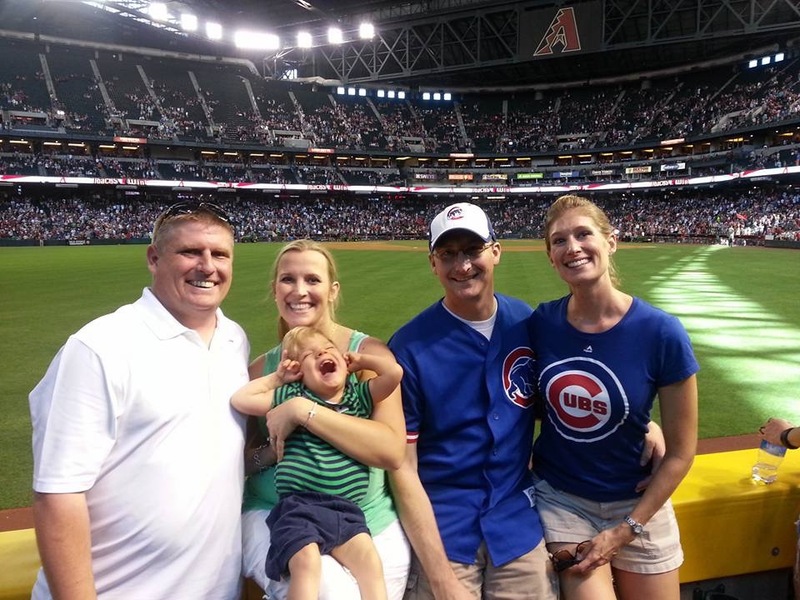 We went to Phoenix to visit family and got to cheer on the Cubs and the Diamonbacks. He had a great time!! I hope that finally publishing this update will help me get back on track with sharing Jacob’s story. I have so much more to share…just need to find the time. As always, thank you all for your continued prayers and support!